See previous 74 interviews: Secretary of Education Arne Duncan, Newark superintendent Cami Anderson, L.A. mayor Antonio Villaraigosa, Assistant U.S. Education Commissioner David S. Seeley, Professor Matt Delmont, who talks about how northern whites used busing to derail school integration. Full archive here. 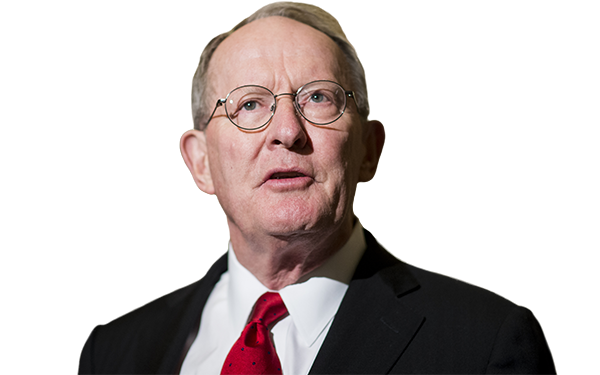 (Washington, D.C.) — Sen. Lamar Alexander, it seems, is taking the long view on one of the major achievements of his legislative career, the Every Student Succeeds Act. His goal: making sure the new federal K-12 law isn’t implemented in a way that negates Congress’s intent or the good will that emerged after its passage. Alexander told The 74 said he hopes ESSA enters the pantheon of respected bipartisan domestic policy achievements, legislation like the civil rights laws of the 1960s and Medicare. What he doesn’t want to see is it grouped alongside the 2010 healthcare law, perhaps the most divisive domestic policy change of President Obama’s tenure. “I don’t want this law to become like Obamacare, where the president leaves office and half the people are defending it and half the people are trying to repeal it,” he said. And he told Education Secretary John King at a June 29 hearing that he hopes people feel the same way at the end of this year — after all the regulations are drafted — as they did at the end of last year, the start of what should have been an era of detente in the education policy wars. The Tennessee Republican and chairman of the Senate Health, Education, Labor and Pensions Committee has for several years been the chief GOP counterweight to the Obama administration on education issues. When writing the law, Alexander (a former governor and education secretary himself) put much of his focus on limiting the power of what he frequently calls the “national school board” — his shorthand for what he sees as overly burdensome, sometimes illegal, regulations from Washington bureaucrats, pushed on state and local education officials. But the new legislation also, in deference to concerns by Democrats and civil rights groups, maintains requirements for annual testing, and defines three groups of schools that states must identify for intervention — the bottom 5 percent of all schools; high schools where fewer than two-thirds of students graduate; and schools where students of color, those with disabilities or others traditionally underserved lag behind their more advantaged peers. The bipartisan joy that erupted when the rewrite became law — President Obama even called it a “Christmas miracle” for the country’s schools — was dashed pretty quickly over how Title 1 dollars for low-income students are handled. Alexander bluntly told King at a hearing that his reasoning for the legality of the Title 1 proposal was “ridiculous.” Alexander isn’t backing down on that (and neither is King, who has tied the proposal to segregation and civil rights fights of decades past). But the senator lately has struck a more conciliatory tone on the next regulatory proposal governing school accountability, one that would guide states as they draft policies for identifying and intervening in schools that aren’t hitting the mark. The senator, who heads to the GOP national convention next week, isn’t one to be a hyper-partisan bomb-thrower: he left Republican party leadership in 2011 to focus more on achieving bipartisan consensus and work on substantive policy. And even though he isn’t shying from fights with the department when he thinks they’re not implementing the law as written, it’s clear he’s looking down the road, to how it will affect education policy in five or 10 years. He doesn’t want the bill’s impact to be diminished, either by squabbles over regulations or implementation in a way Congress didn’t intend. Alexander spoke with The 74 at his Washington, D.C. office on June 28, just ahead of his committee’s fourth of sixth planned hearings on implementation of the new law. The interview has been lightly edited for clarity and length. The 74: It was important to you, when drafting the new law, to limit the regulatory reach of the Education Department, and it includes several specific curbs on the secretary’s authority. Did you expect a fight on implementation so soon? So we have very specific provisions, for example there are five separate provisions that make it clear that the Department of Education can’t tell states what their academic standards should be. All a state’s supposed to do is adopt challenging standards that are aligned with the college entrance requirements in the state, and then notify the department that that’s done. The department, according to five different provisions, is prohibited from doing that [mandating or incentivizing any particular curricula]. It’s prohibited from requiring an equalizing funding in individual schools. It’s very unusual for Congress to write a law and authorize certain actions, and then to distrust the department so much that it literally writes in the law prohibitions, trying to guess what they might do to violate the law. So yes and no. The no part is, we negotiated for a long time, we solved many contentious issues, and we chose our words carefully. And we expect them to be followed. For example, we said that states instead of demonstrating that they’ve adopted challenging standards, they just assure the department that it has. Demonstrates means prove, assure means let us know. So we did that on purpose, and we expect the department to respect the words of the Congress and the president who signed the bill and follow the law as it’s written. So while I was expecting some trouble, I’m surprised how blatant the first rule [governing the distribution of Title I dollars] was, which was so far over the top that I can’t imagine anything remotely resembling it will eventually become a regulation. 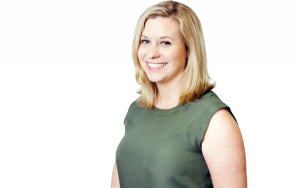 You’ve been vocal about your opposition to the supplement-not-supplant funding rule governing the distribution of Title I dollars, but your comments on the proposed accountability regulations haven’t been as severe. You’ve said elsewhere that you’re holding your tongue at the White House’s request. What was your reasoning for agreeing to that? When the White House asked me to restrain myself, I guess, during this period when we have a chance to work with the White House and the secretary to try and see if we can iron out, or get rid of, areas in the accountability regulation that are inconsistent with the law, I agreed to do that. I don’t want this law to become like Obamacare, where the president leaves office and half the people are defending it and half the people are trying to repeal it. At the end of the year [after the president signed the bill in December 2015], it was a lot like the civil rights acts of the 1960s, or Medicare, or big laws of social legislation where there was a consensus and everyone accepted the consensus. I think teachers and governors and school board members are really looking forward to a period of stability in federal education policy, and I’d like for Secretary King to leave office and President Obama to leave office with that being the condition. I hope we can come to some agreement about it. Do you see more room for negotiation, based on the department’s original proposals, on the accountability regulation than on supplement not supplant? I saw [King] yesterday for maybe 45 minutes, and we have a hearing tomorrow. For example, we talked about, I’ve heard from a number of states that the accountability regulation seems to require that the states implement their new accountability system and start identifying schools in trouble in the next school year, the year that begins this August. Well, that’s not what the law envisioned. And it may be the secretary didn’t really intend that. So if that’s the case, well that would be an indication to states who have complained about that, and that he’s willing to make changes where changes are in order. That’s what a period of comment is for. There’s some other provisions, like I’m wondering where he came up with this summative rating system. That’s nowhere in the law. It’s one person’s idea of whether to rate schools A to F. They did that in Florida, they did that in New York City. They’re moving away from it in both places. The whole point of the law was to say to Florida and New York City, if you want to do that, you can but you don’t have to do it. Washington's not going to tell you to do it. It looks to me by coming up with a summative rating system, that we’re back in the old bad practice of Washington telling states how to identify schools that are succeeding and schools that are not. The accountability system is the heart of the legislation. It’s a big sounding word, and it goes over the heads of some people, but it’s pretty simple in concept. We looked at it, we agree that it was a good idea to have these 17 federally mandated tests between grades 3 and 12, they only take about 2 hours each and it’s important to know how kids are doing. So we kept that, but the compromise was, what to do about the results of the tests would move out of Washington and back to the states and the school boards and the classroom teachers. And that’s what I want to make sure is intact after the regulations come out. If you can’t come to some sort of compromise with the department about the regulations, what options do you have to try and stop them? States could resort to the courts. States can appeal before going to court, they can appeal within the department. Then there’s the bully pulpit of Congress. We’re having six hearings, like the one tomorrow, on implementation, and just by putting the spotlight on the implementation, I think we’ve helped a lot. In addition to that, the coalition that supported passage of the bill is supporting implementation of the bill the way Congress wrote it, and that’s an unusual coalition in education, it was the governors and the teachers unions and the chief state school officers and the [state] legislatures, groups that don’t always see eye to eye. They’re united state by state to insist on that. We’re about a year out from the Senate passage of the compromise, which happened July 16, 2015, to much fanfare. What do you see as the pivotal moment in finally achieving passage of a bill many thought too complicated and contentious to get through the legislative process? I think it was at the front end when Patty Murray suggested we try writing a draft together. I said, ‘Well, you’ve got a reputation for trying to get results, and that’s what I’d like to do so I’m willing to try that.’ It turned out to be good advice, and that’s how we were able to do it. We tried in three previous Congresses to do it, with no success. Is there one thing in particular you really wish was included in the final law that wasn’t? Yeah, it’s scholarships for kids, which I think would be terrific policy. It would give states the option of taking $24 billion of their federal dollars and turning them into scholarships for low-income children, $2,100 scholarships for low-income children that would follow those children to the schools that the state thought they should attend. So if the state had a school choice program, the parents could exercise choice, if the state had a school assignment program, they could do that. There’s a lot of talk about the federal dollars not following, not getting to the low-income children who are the ones this is designed to help. It seems to me the simplest way to do that is just let it follow them to the school they attend. Now that provoked a big reaction from Democrats, who didn’t like it, and a few Republicans who didn’t like it, and I only got 43 votes in the Senate, and I needed 60. If I could put one thing in the bill that’s not in the bill, that would be it. Despite a few particular bright moments of consensus, like passage of ESSA, or the early years after passage of No Child Left Behind, education can be a surprisingly acrimonious, both between parties and even within the Democratic and Republican parties. You’ve been involved in national education policy for decades. What do you think causes that rancor? There’s no way you’re going to take politics out of education. Woodrow Wilson, what was it he said, after he left the presidency of Princeton to become president of the United States? “I became president to get out of politics” — which what he meant was university politics. I think we can reduce the level of politics and increase the focus on education, and that’s why I’m very hopeful that when we get through this regulation discussion that regulations will be consistent with the law. We chose our words very careful, and we expect the department to respect that. You served as education secretary under President George H.W. Bush. Do you have any advice for whoever gets the job next? I think the president and the next education secretary ought to make education a major focus. It’s a national issue, but you don’t have to solve it from here, you solve it by creating an environment where governors and classroom teachers and school board members and parents do it. I think there will be a great opportunity to do that because of the law, because it restores a lot of responsibility to states and classroom teachers and there’s a big opportunity for innovation, and the secretary of education can point that out, be a sort of consumer's guide to good practices, and maybe even some bad ones.